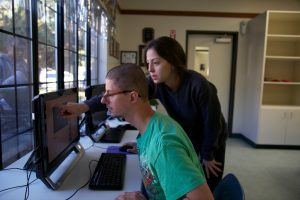 As a part of our day services, we provide quality..
As a part of our day services, we provide quality of life improving day services to the individuals we serve with intellectual and developmental disabilities. What is unique about these services is that they are performed in a low attendee-to-staff ratio. Personal empowerment and independence are our highest priorities for these individuals. This facility provides vocational training and job placement opportunities through subcontracting services and supported employment. 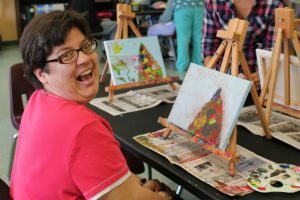 This facility has a robust arts program to promote the creative expression of each individual served. This facility provides personalized self help care and daily living training. 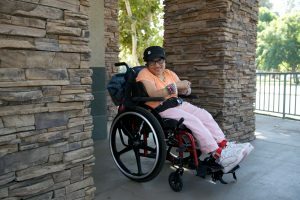 This facility offers an innovative adaptive equipment therapy program, the only program of its kind in Riverside and San Bernardino Counties.